High quality 2 leg lifting chain slings, in a choice of sizes and length with a wide range of hook styles to suit your lifting requirements. Available in a choice of 7mm, 8mm, 10mm, 13mm, 16mm, 19mm, 20mm, 22mm, 26mm and 32mm chain sizes. 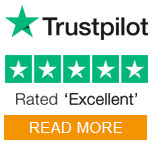 All our chain slings are based upon a 2 metre reach, you can simply add extra chain by metre reach for required length. Shortening clutch grab hooks are fitted to all double leg slings, making the reach adjustable and therefore increasing the versatility of the sling. The reach of a chain sling is the distance between bearing points of the upper and lower terminal fittings. 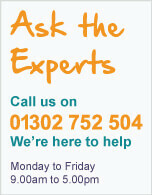 If you require a bespoke Chain Sling (up to 45 tonne) Please call us on 01302 752 504. 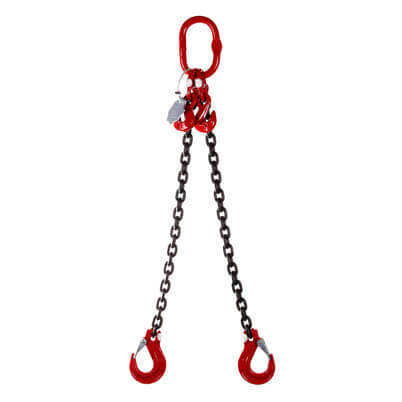 2 Leg Chain Slings are supplied with the relevant certification. 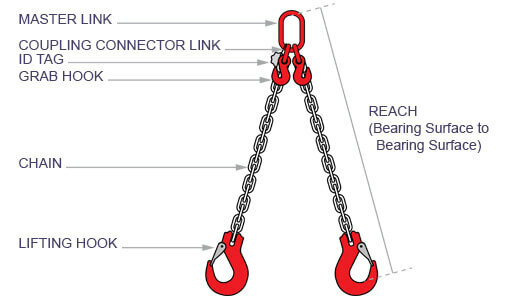 Each 2 leg chain sling is comprises of: Two Lengths of Chain, Master Link, Connector Links, Chain Shortening Grab Hooks and Lifting Hooks.